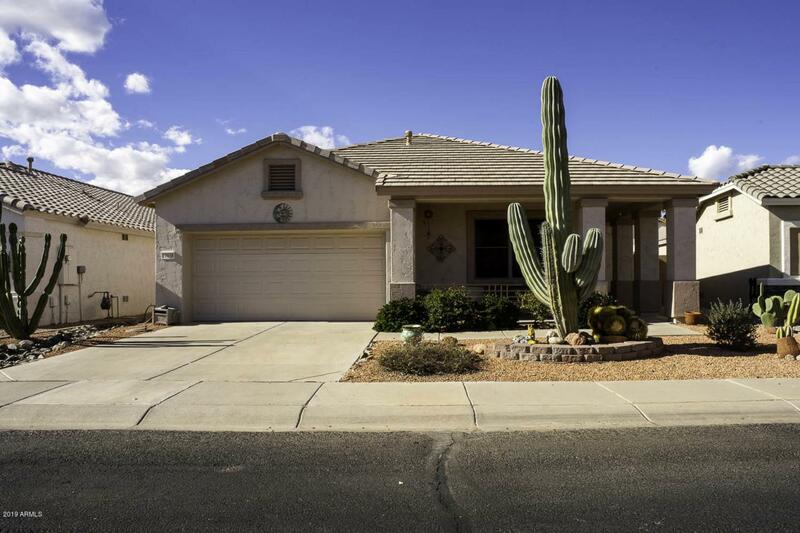 2 bed, 2 bath, 2 car + golf cart storage home in 55+ gated community of AZ Traditions. Living room w/cozy gas fireplace, guest bedroom in front, master in back. Large master en-suite includes double sinks, vanity area, large walk-in closet. Newer carpet 2018, newer tile 2017, updated fixtures, newer paint for perfect cozy home. 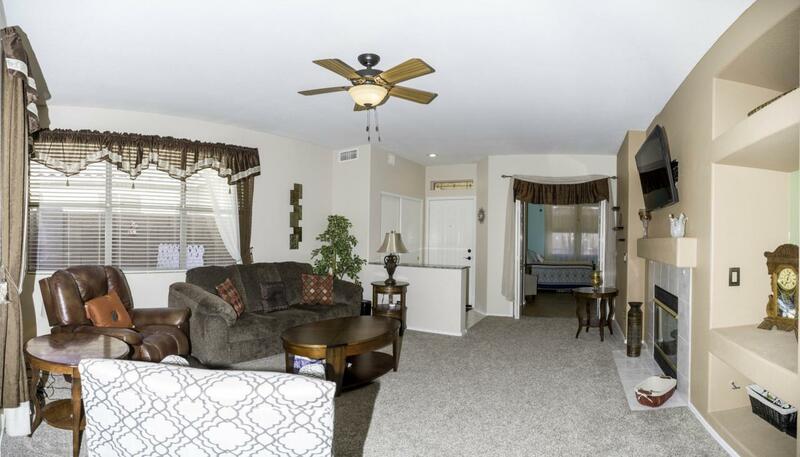 Newer Energy Star appliances, energy efficient light bulbs throughout. 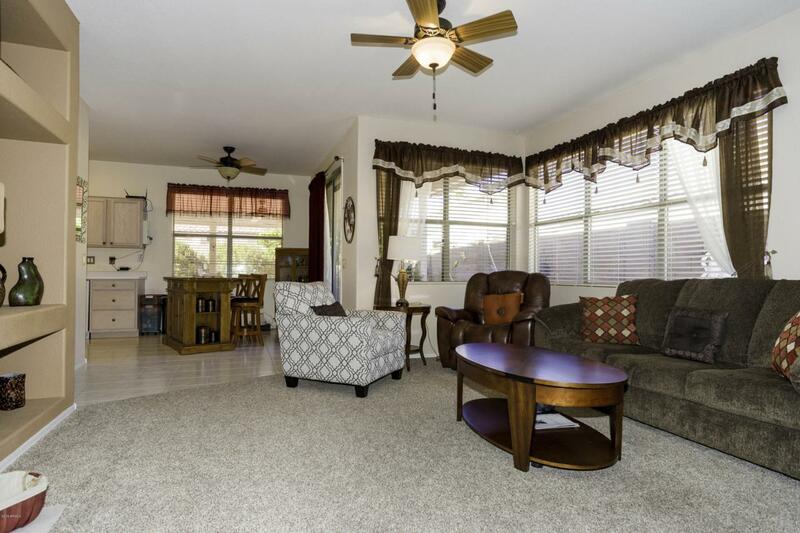 Full length covered patio w/fans in enclosed private back yard. Mature ruby red grapefruit tree, porch swing. Community amenities include golf course, heated swimming pools/hot tubs, community center and much more for an incredibly active lifestyle. Come and enjoy the beautiful Arizona climate.